The club lawn marquee at the stunning Hamilton Park Racecourse was the setting for our Team Building Showcase in partnership with our venue partner Prestige Venues and Events. 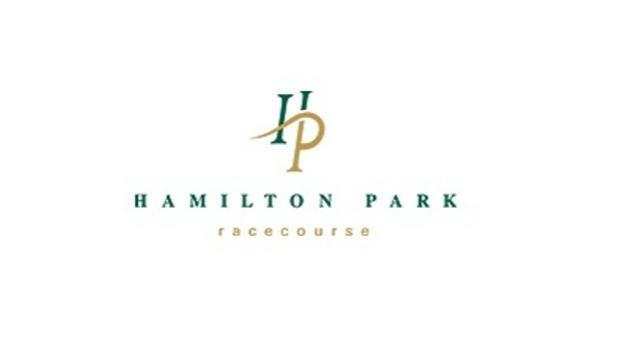 Here we offered a select group of event professionals the opportunity to experience a taste of what Team Challenge Company has to offer at a venue like Hamilton Park Racecourse. After an introduction by Sales Manager Georgia Mckay and a tour of the fantastic venue facilities it was time for our own Sales and Business Development Executive Sarah-Jane Dale to welcome the group in true Team Challenge Company style – with a series of compelling and interactive challenges that soon catalysed some fierce competition, particularly as Stephanie and Debra went head to head. The teams named themselves ‘What do we want? A cure for tourettes. When do we want it? ****’ and ‘Last Man Standing’. We know at least one of the team names was inspired by the only gentleman in the group Stephen; we aren’t sure about the other...! The challenges themselves included our classic tricky ice breaker Helium Stick, as well as a few of our newest Team Building tasks. Clock Tower saw Claire mastermind the jigsaw puzzle while Transporter proved that Lindsey is a fast mover and Sharon has excellent wrist action. On the Wild West Shoot Out hopes were high for Elena to shine due to her office nickname of ‘The Assassin’, however it seemed her bark is worse than her bite. After a wonderful lunch provided by Hamilton Park Racecourse, the team faced the final challenge in the form of our Batak reflex wall. Following a quick practice the competition began with everyone beating their practise scores while Stephen took the top spot with a super speedy 68 in 60 seconds cementing the overall win for his team. Team Tourettes claimed the runners up spot taking home our Wooden Spoon as Last Man Standing claimed the Winners’ Trophy! It was a pleasure for Sarah-Jane and the rest of our team to have the opportunity to showcase just a little of what we can offer clients across the UK and Ireland in partnership with Prestige Venue and Events. Also, thank you to Georgia and her team for continuing to working with Team Challenge Company to Build Better Teams. It was great to finally meet you all, and in some cases to put faces to voices spoken to often over the phone. The day was full of fun and certainly an energetic way to finish your busy weekend. I would like to say a personal thank you to Georgia for all of her effort in putting the day together to make it such an engaging experience. It was an absolute pleasure to be a part of it and I very much look forward to seeing you all again soon and working together in the future.